Happy Thanksgiving from your friends at Wapiti Labs! 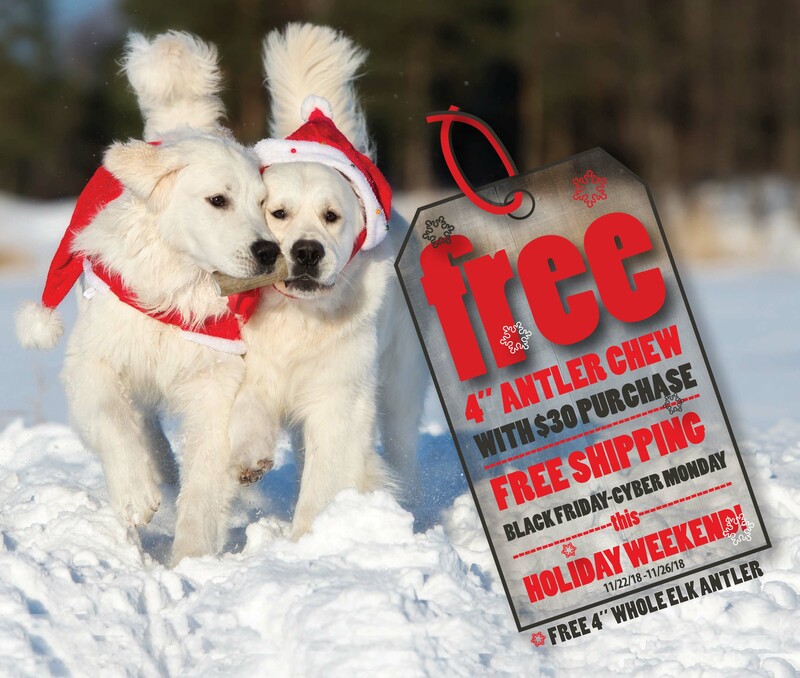 Shop online Black Friday thru Cyber Monday and RECEIVE a FREE 4″ Antler Chew with purchase of $30 or more! Plus FREE Shipping!! Don’t forget your favorite 4 legged friend this Holiday Season!!! Check out these great gift ideas below! Place your order of $30+ and receive a FREE 4″ Whole Antler Chew!! For your Dog or give as gift!! For small and medium breed dogs ONLY. Great for the toughest chewers! DO NOT ADD TO CART! For retail orders only! (Wholesale Accounts do not apply) a 4″ Whole Elk Antler Chew will be shipped out with all orders place 11/21/18-11/26/18. No substitutions or exchanges! This is great information and I hope lots of people read this.